Are you looking for a new challenge this Autumn? Then look no further than the PARAS’10! 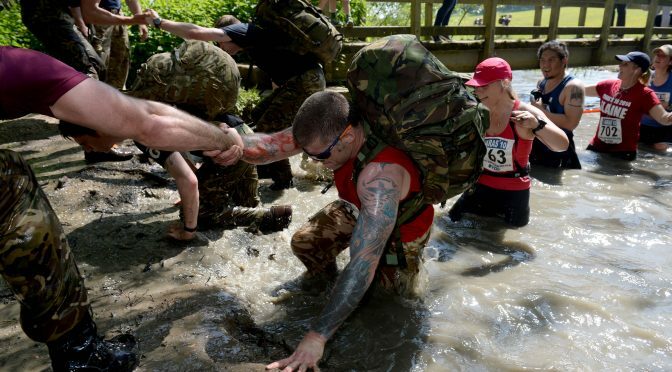 PARAS’10 is a 10 mile endurance race based on an event recruits must pass before they can join The Parachute Regiment. The 10 miler is carried out over undulating terrain and recruits must TAB (Tactical Advance to Battle) the distance in full kit, including helmet, with a 35lb bergan plus water and a weapon. They must complete this in 1 hour 50 minutes in order to pass and it is this event that forms the basis of the PARAS’10. The next event will be in Catterick, North Yorkshire on Sunday 16 September 2018. Check out the video below for an idea of what you can expect. 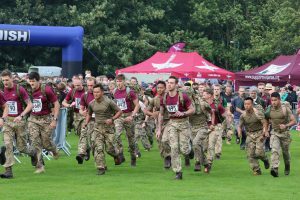 The PARAS’10 is regarded as The Ultimate 10 Mile Endurance Race and is managed by the charity SUPPORT OUR PARAS and serving soldiers of The Parachute Regiment, giving our entrants a unique military experience. We organise and run two events a year, one in Colchester and one in Catterick. Entrants can choose to run or TAB the course with a 35lb bergan (no helmets or weapons though!) and there is even the option to run with your dog. For more information about the events, or to sign up, please visit the PARAS’10 website or follow them on Facebook, Twitter and Instagram.